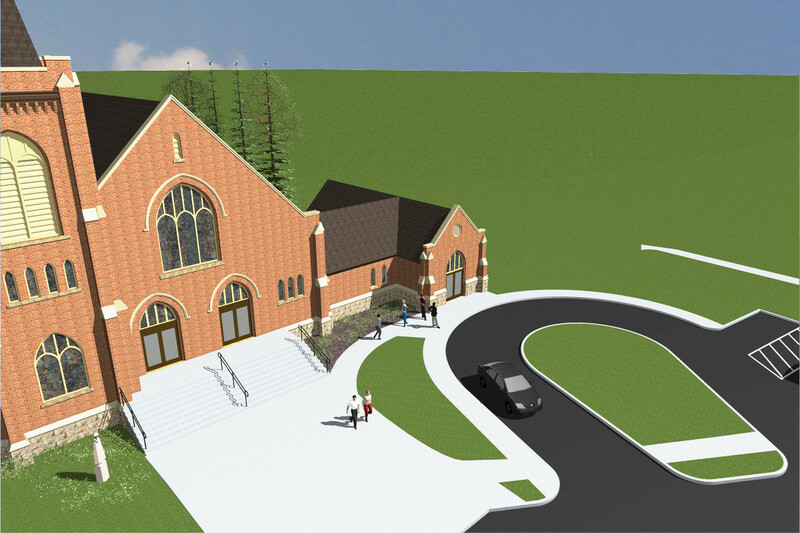 The addition, shown to the right of the existing church, provides additional Narthex space and an elevator to provide access up to the Nave and down to the Dining Hall. 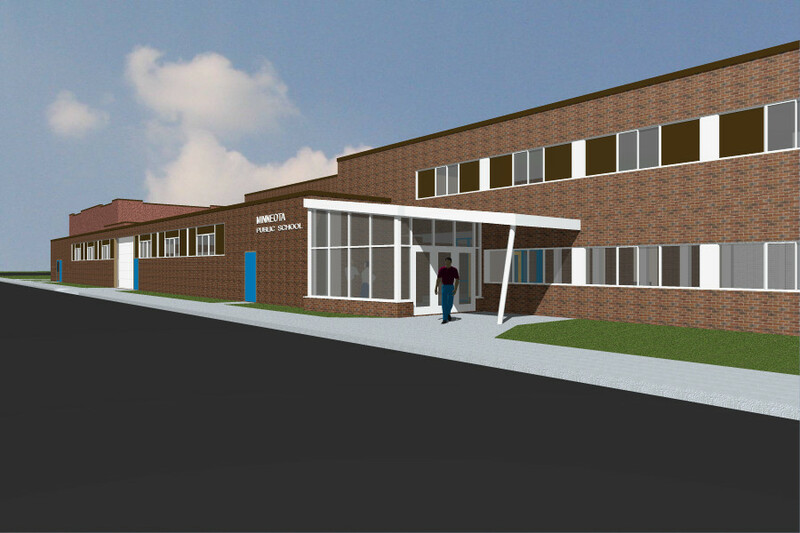 Accessible restrooms and a multi-purpose room will be added in the basement. 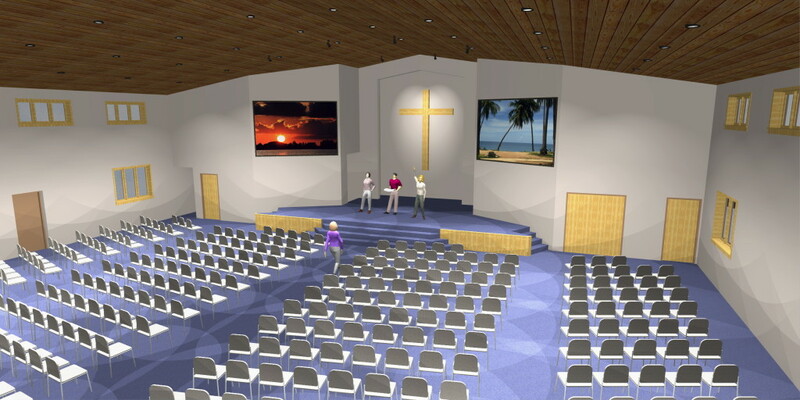 Remodeling will take place in the Sanctuary to create a more workable arrangement around the Altar. 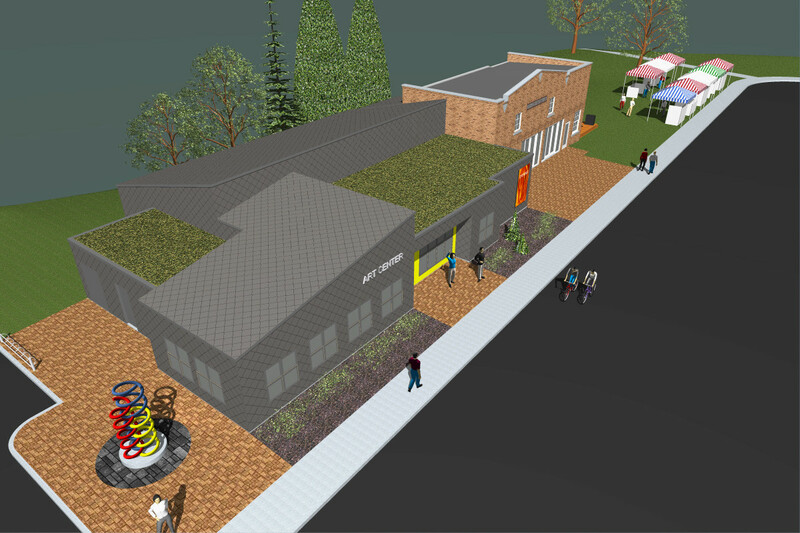 Adding a canopy at the drop off is being considered. 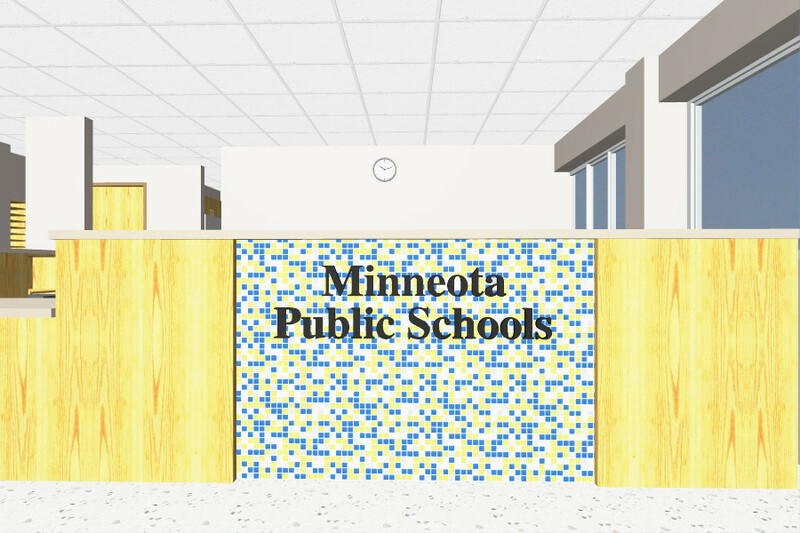 The Minneota Schools have begun a significant remodeling project over two years. 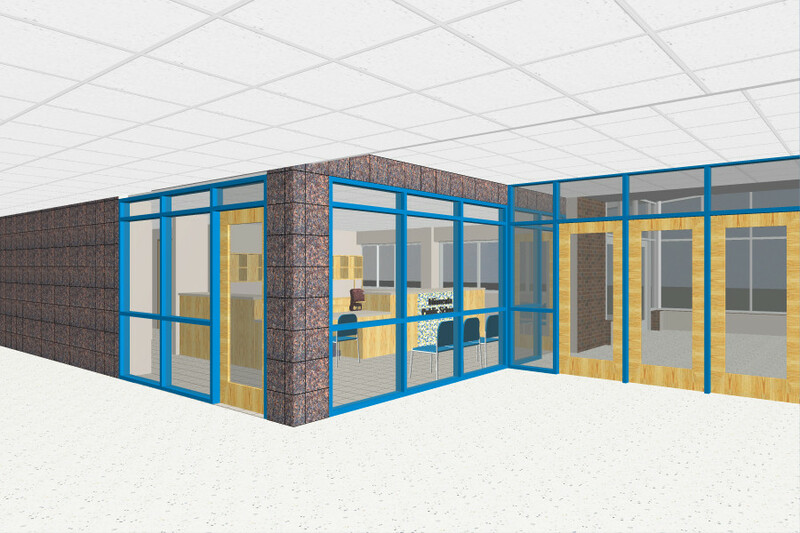 The Office Remodeling is nearly complete and will include spaces for both the Superintendent's Office and the School Office. 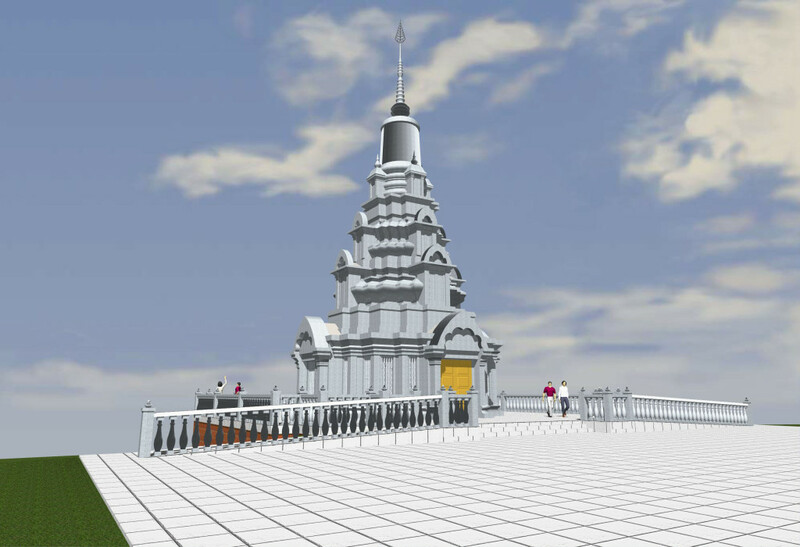 The larger project will take place next summer. 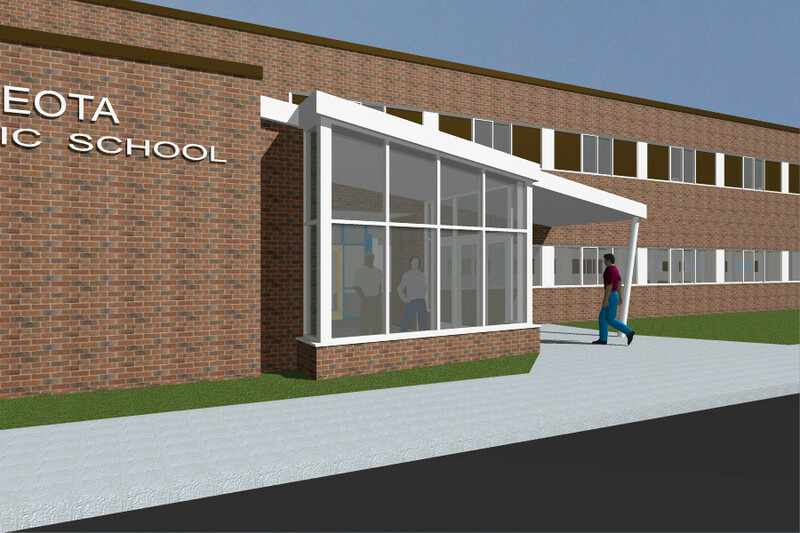 it will include a new Main Entrance. 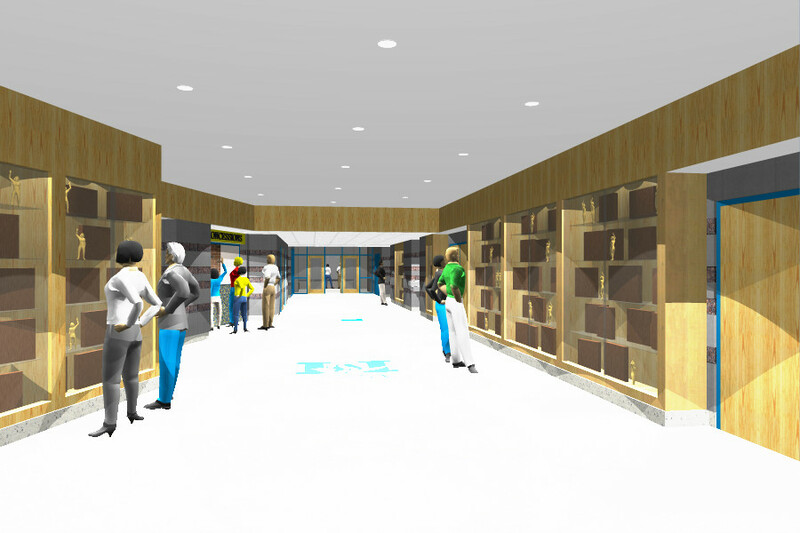 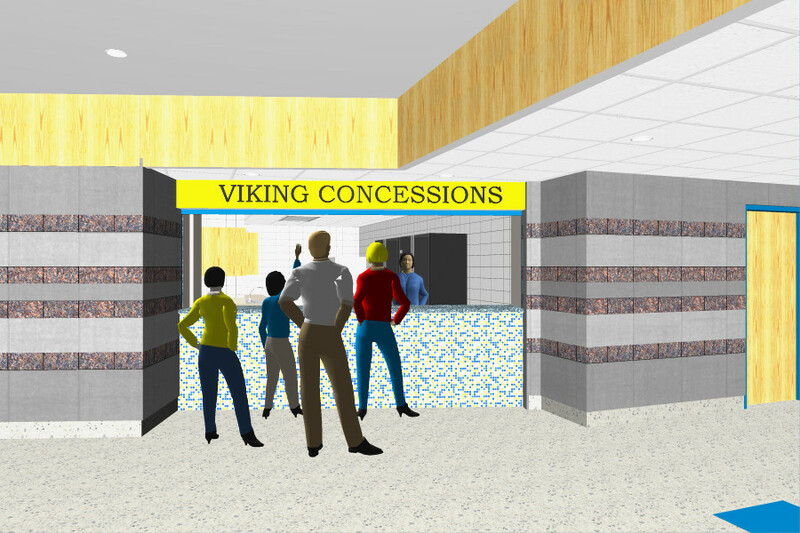 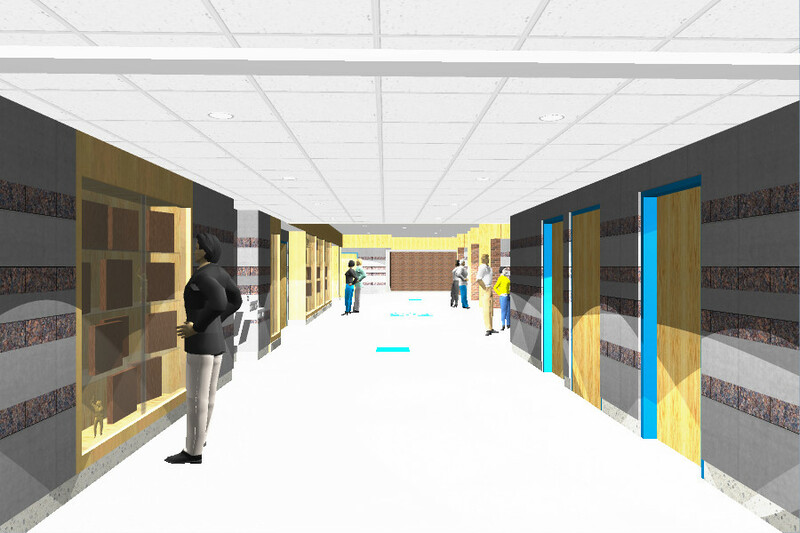 The Vestibule, Lobby, Restrooms and Concessions area will be significantly remodeled. 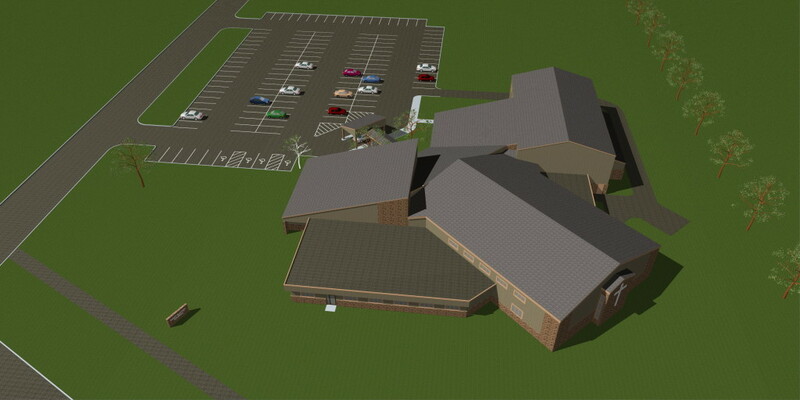 A large portion of the building will receive HVAC upgrades. 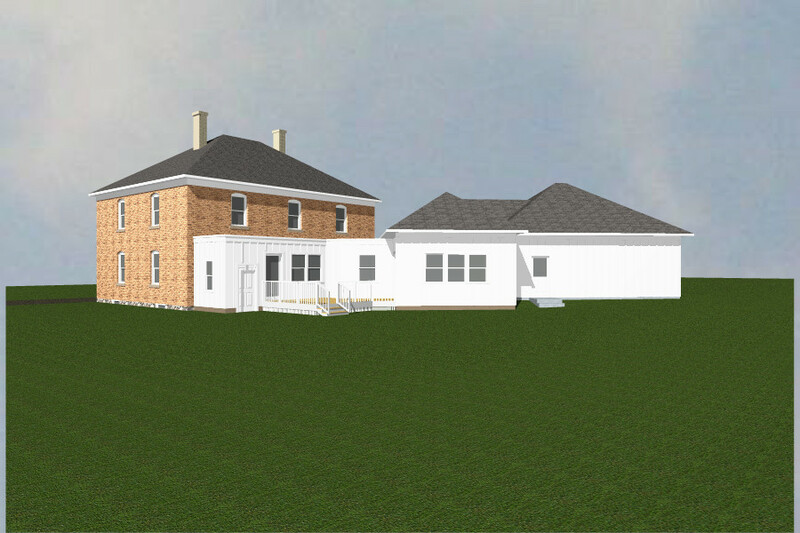 The existing Water Department building, located on Big Stone Lake, will be restored and remodeled. 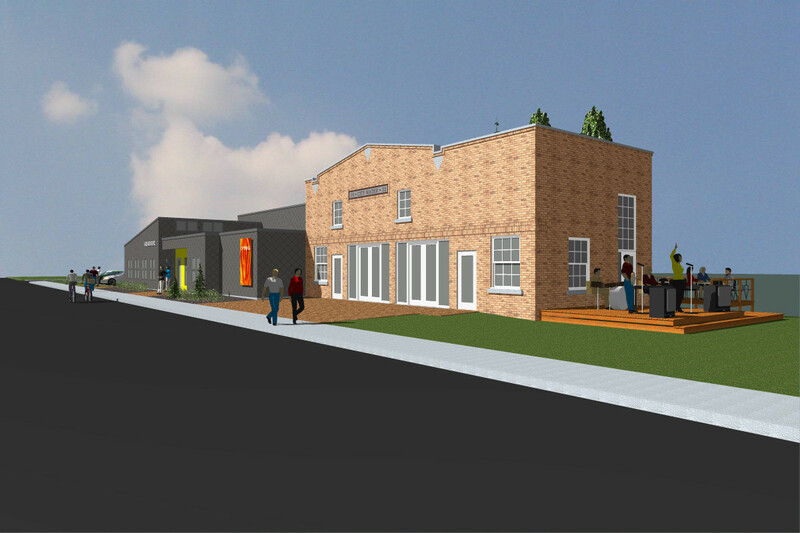 It will contain 1,300 sf of Gallery space. 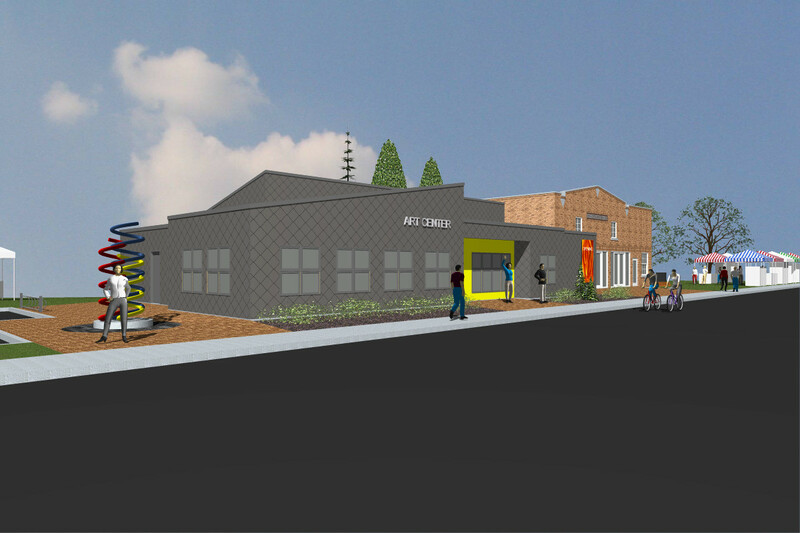 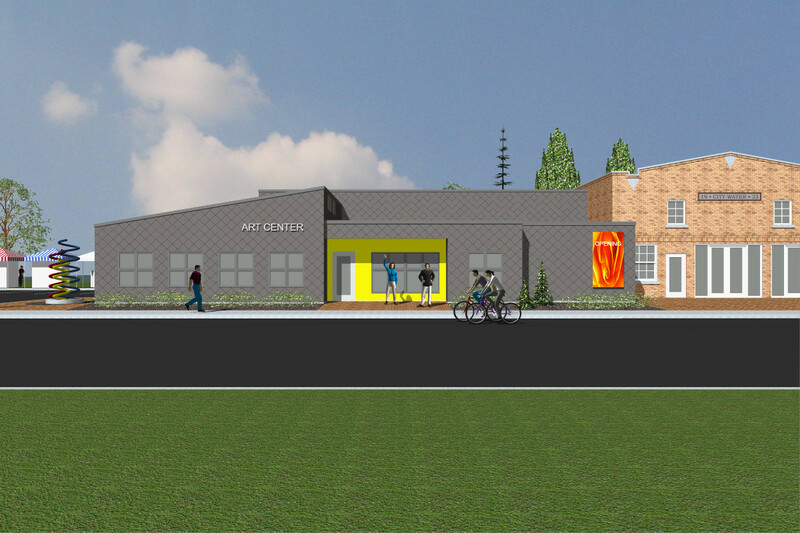 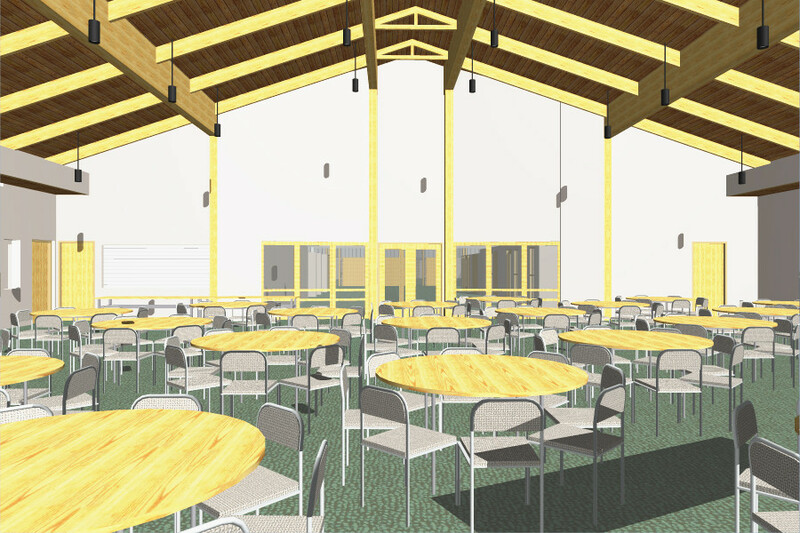 A 3,700 sf addition will contain lobby, office, classroom, kitchen and event space for 125. 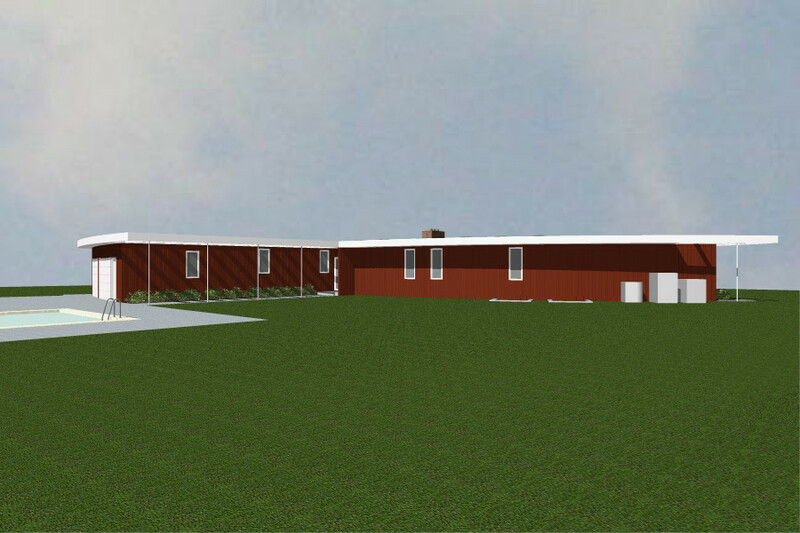 This project consists of a Fellowship Hall and Office Addition to an existing church building and a major remodeling of the education wing. 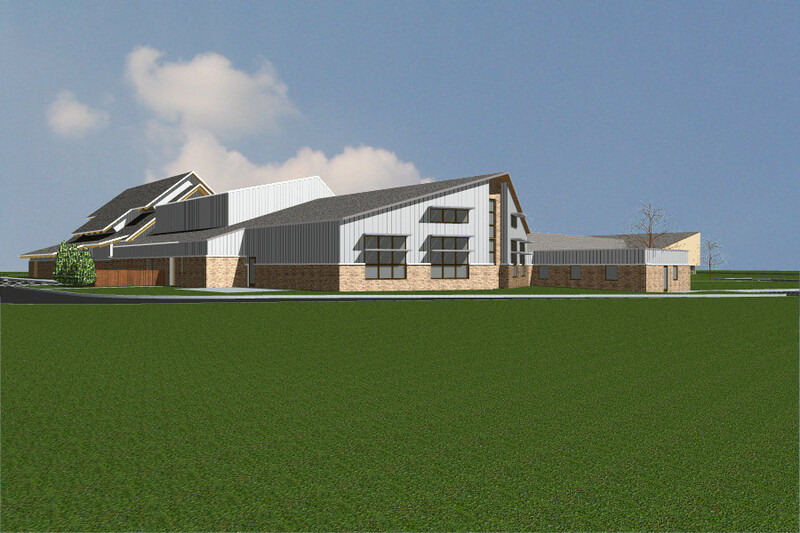 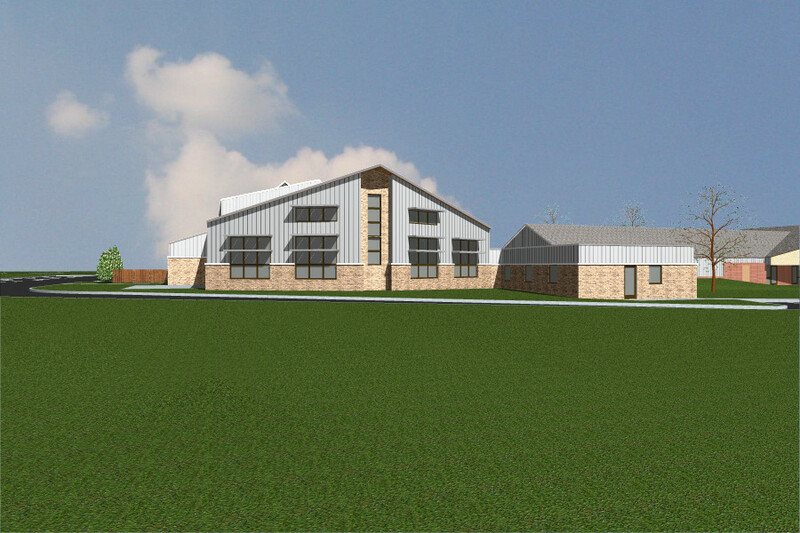 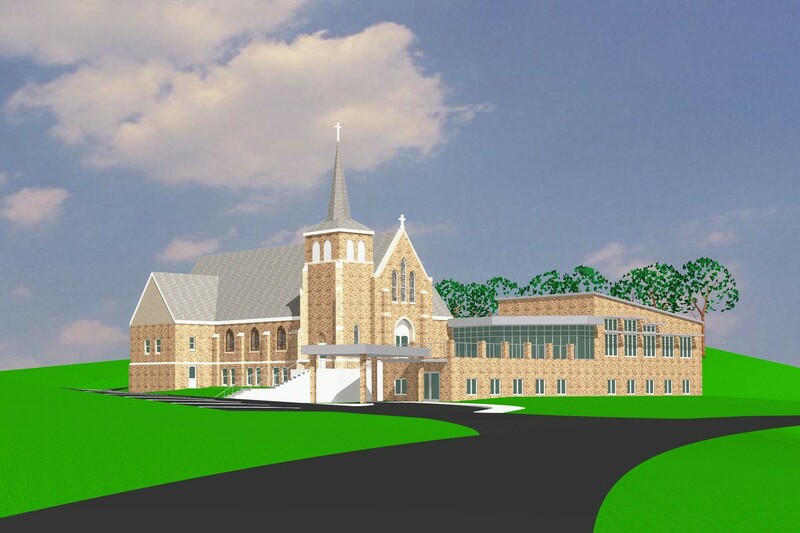 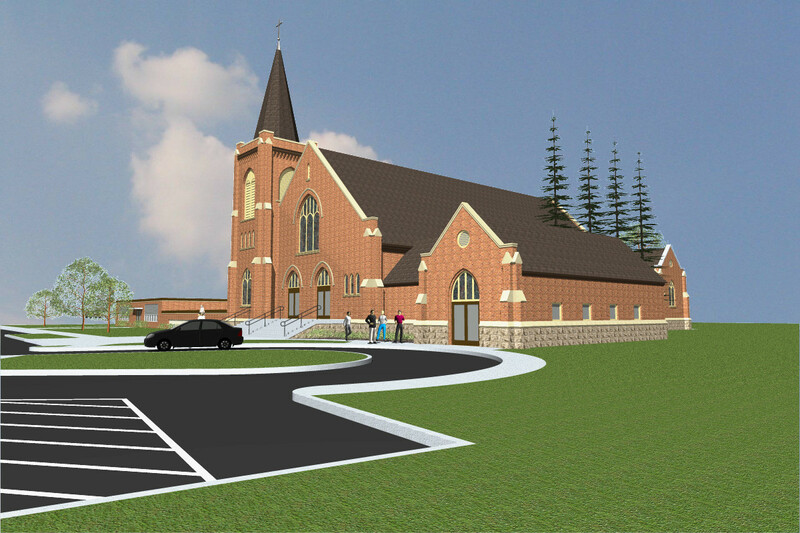 The addition will link the existing church and education buildings. 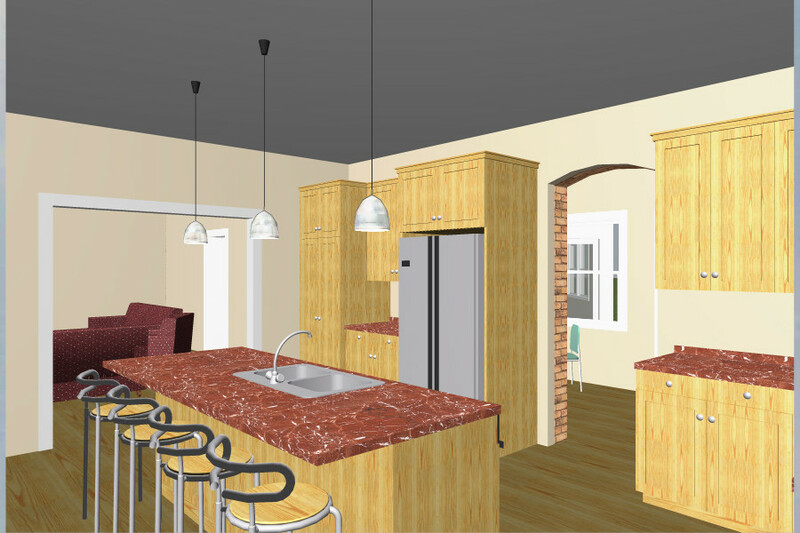 A new Kitchen and Fireside Room are included in remodeled space within the existing church building. 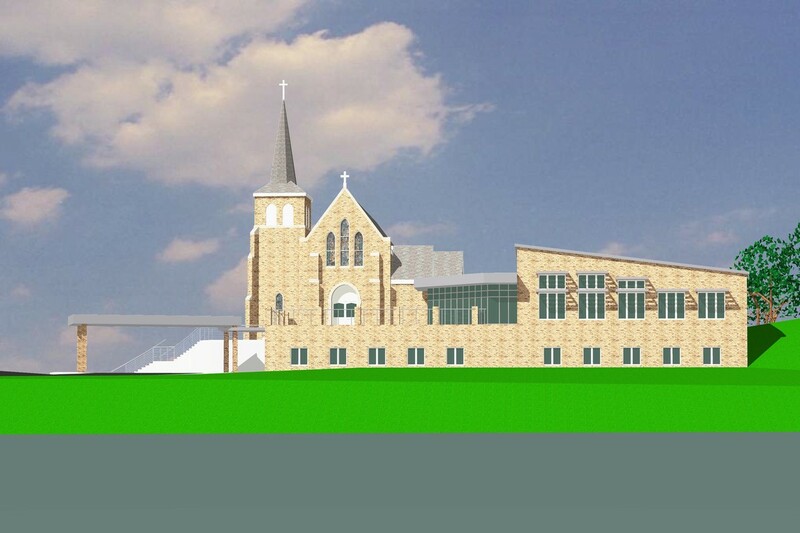 Construction is currently underway. 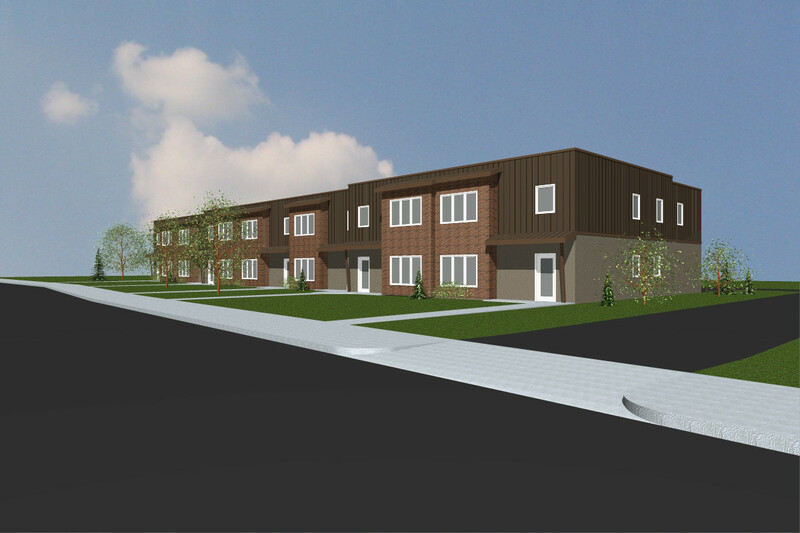 These townhomes provide three bedrooms and two baths, as well as tuck-under garages. 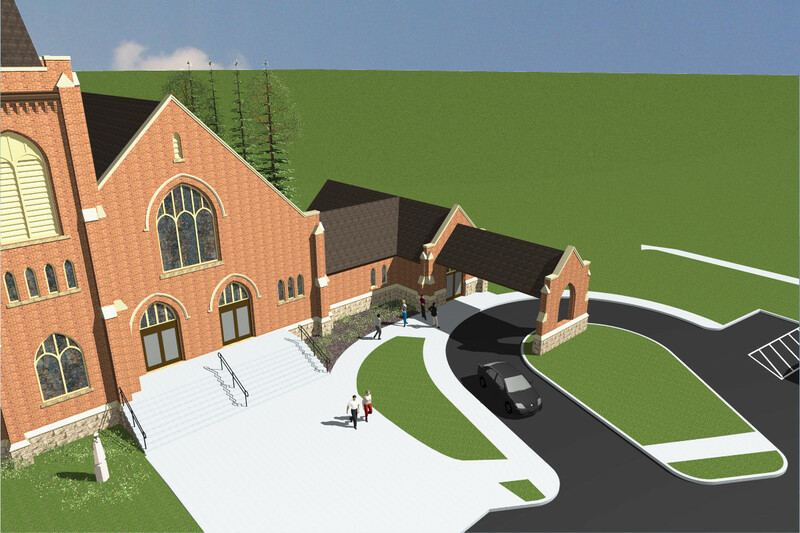 This is an addition and remodeling to an existing 1925 church and 1975 education wing. 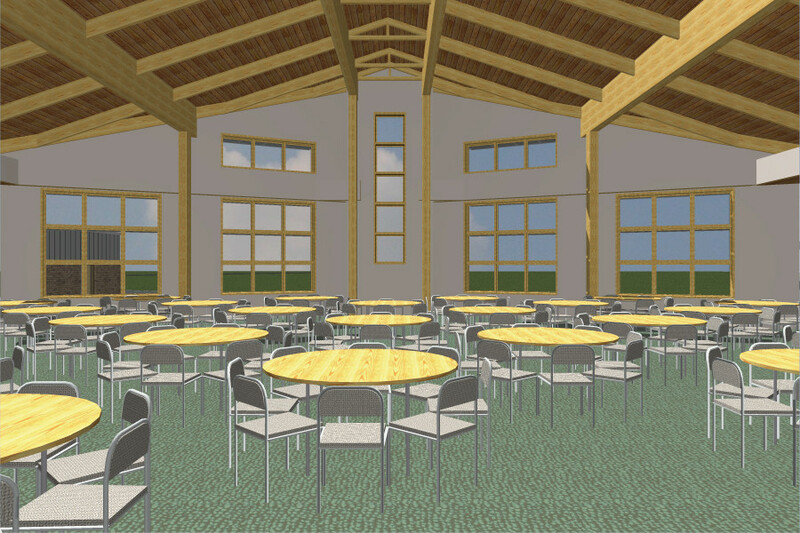 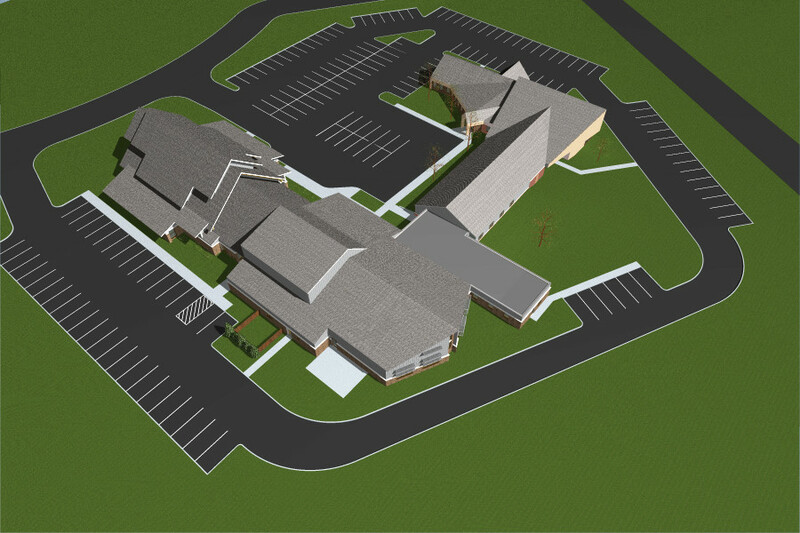 The project includes a new Fellowship Hall, new offices, enlarged Narthex, remodeled classrooms and youth space. 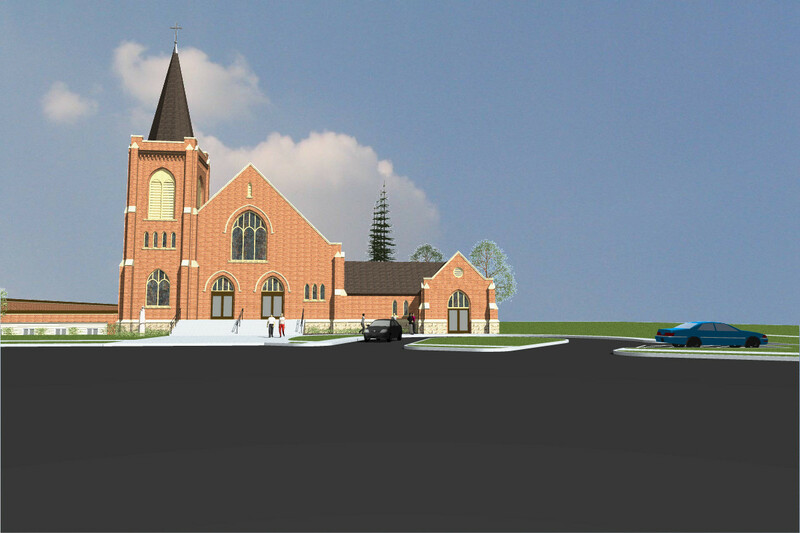 Projected cost is $1,900,000. 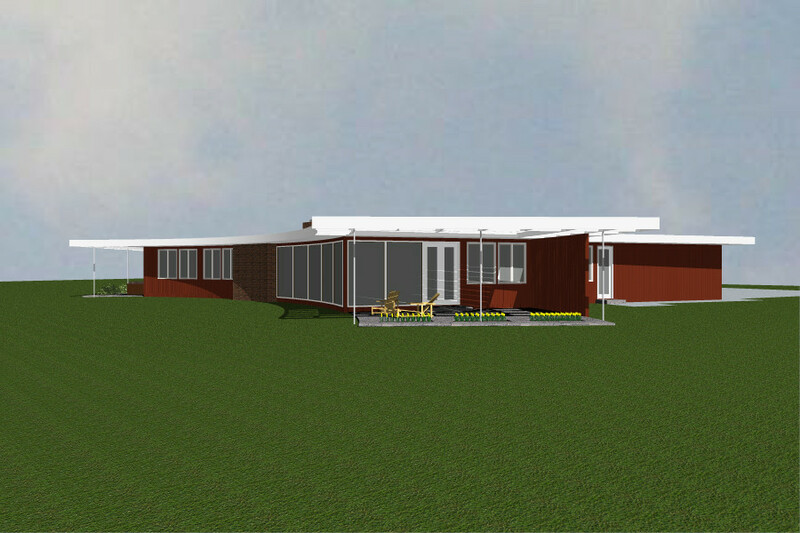 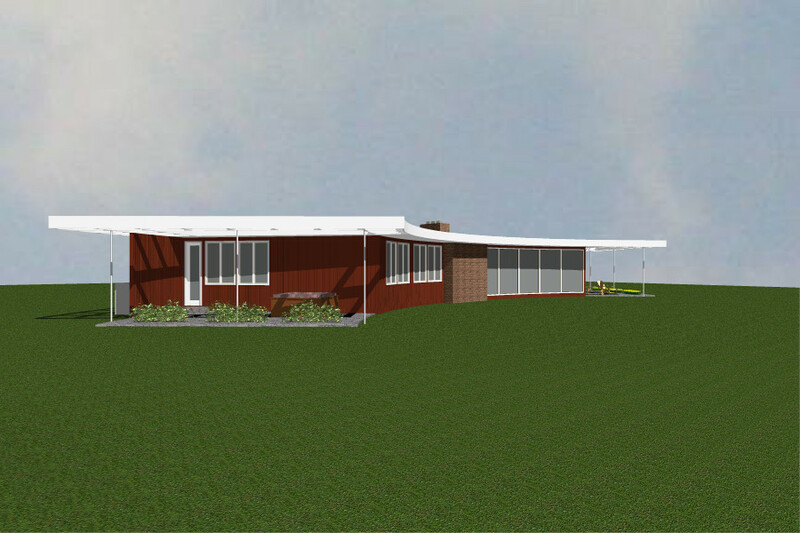 This 1955 modernist home will be completely remodeled inside and out. 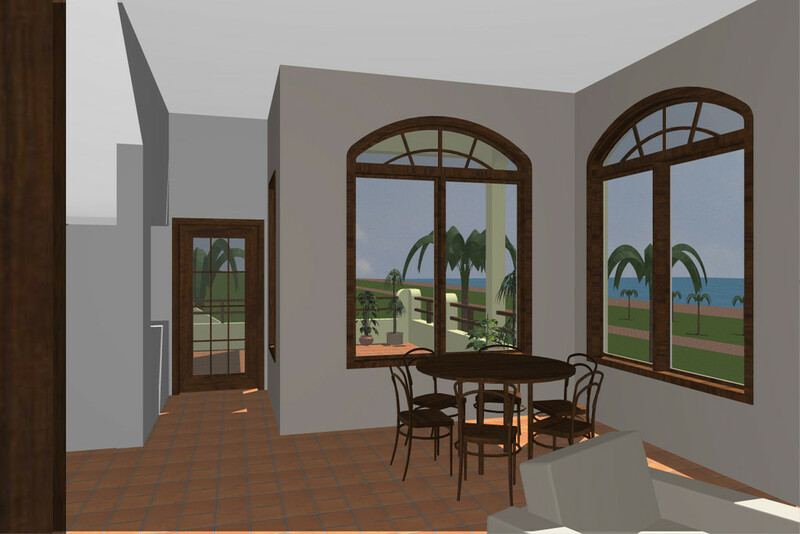 The architectural character of the home will be maintained and enhanced. 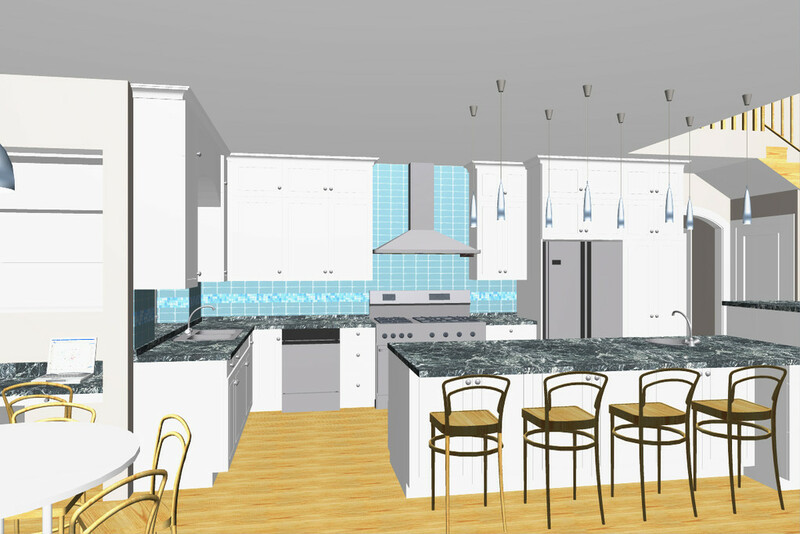 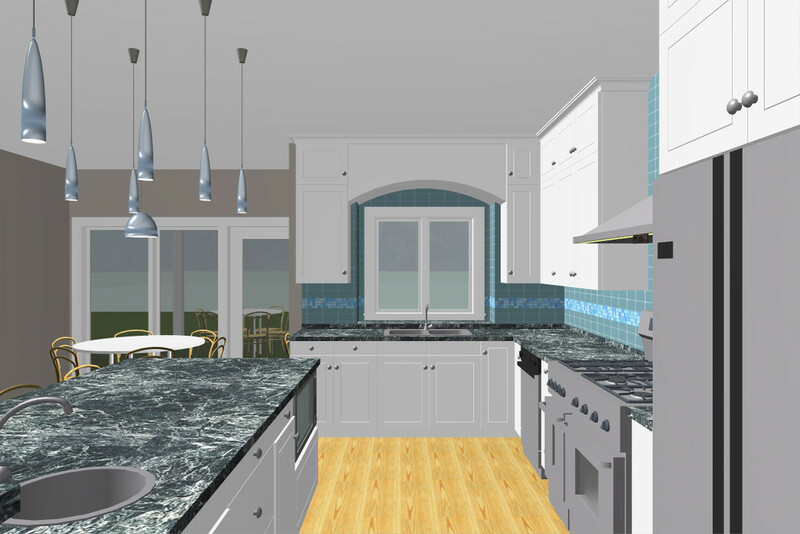 A large Kitchen will replace the existing small kitchen. 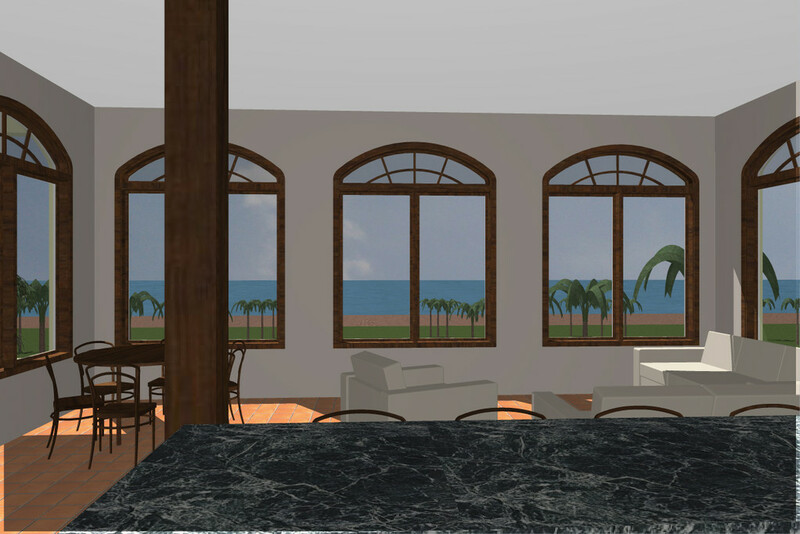 The interior will be opened up to take advantage of the expansive views. 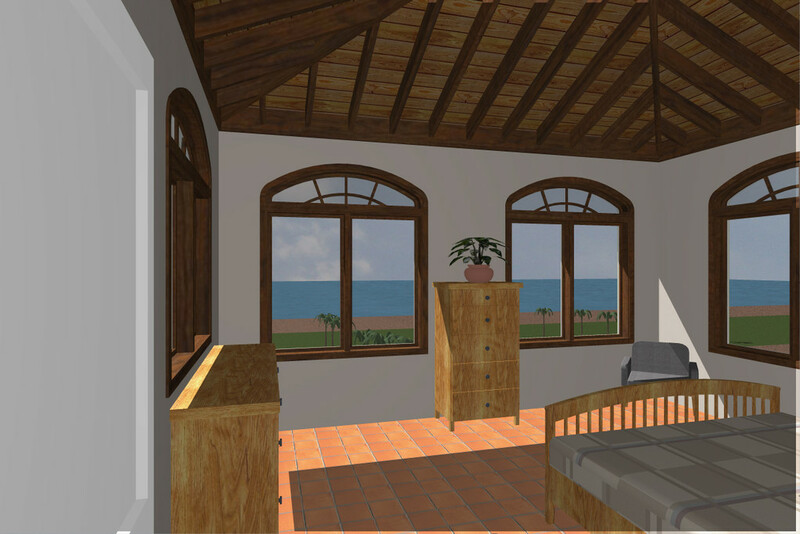 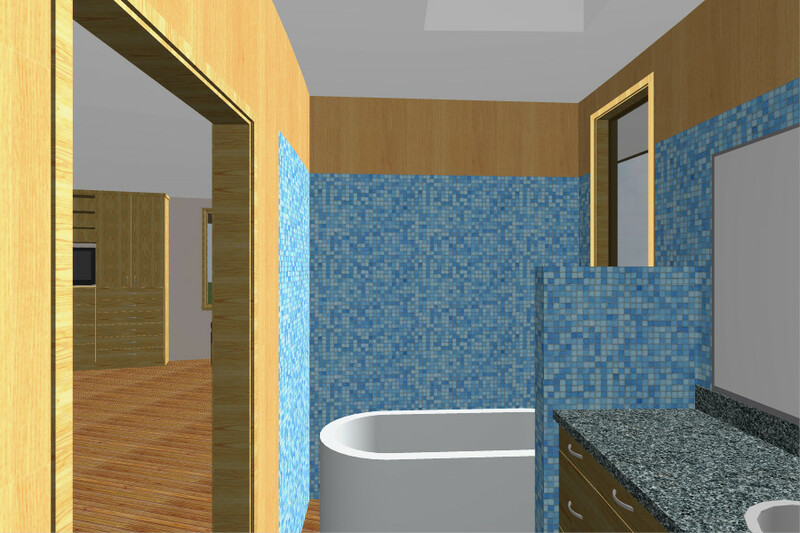 Two small bedrooms and a bathroom will be combined along with some hallway space to create a Master Suite. 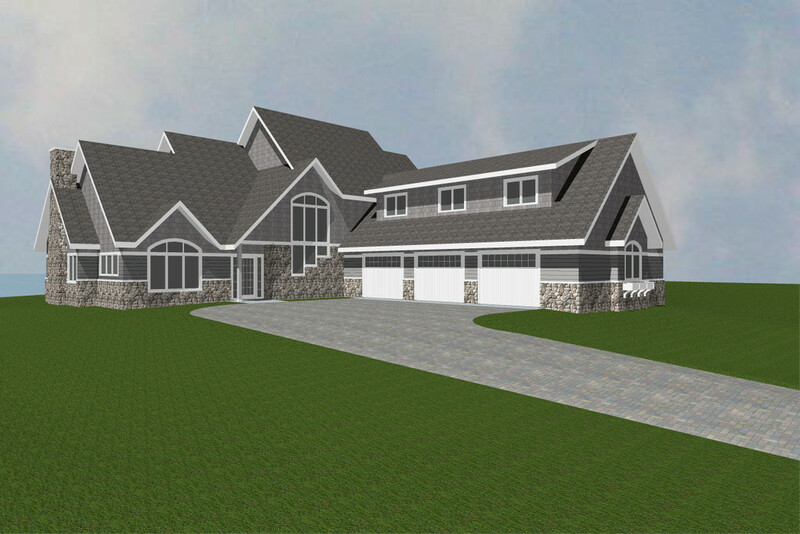 The basement will be finished with two bedrooms and a large Media Room. 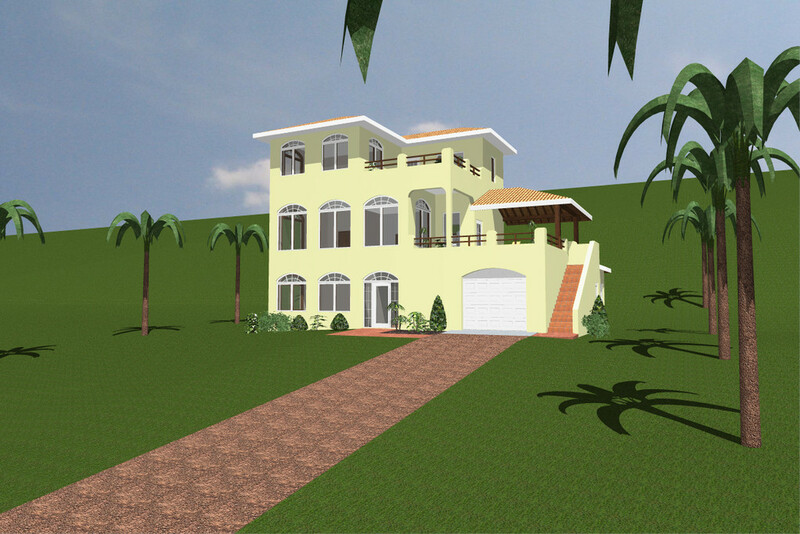 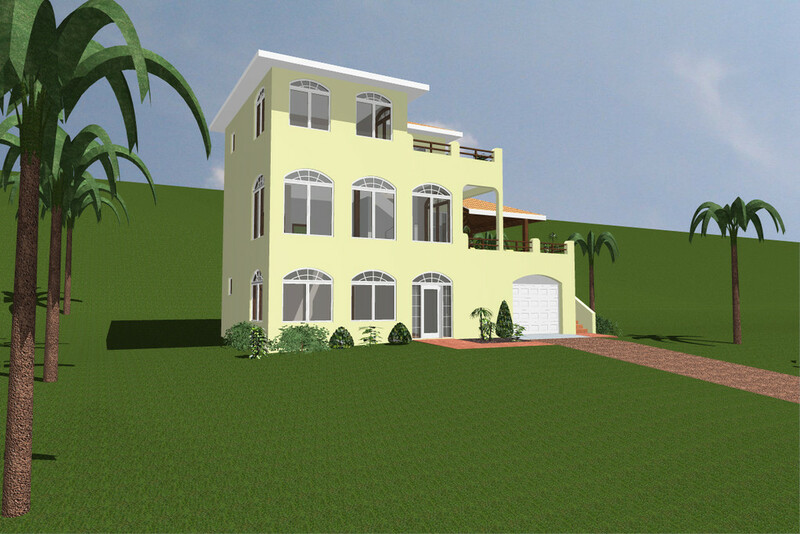 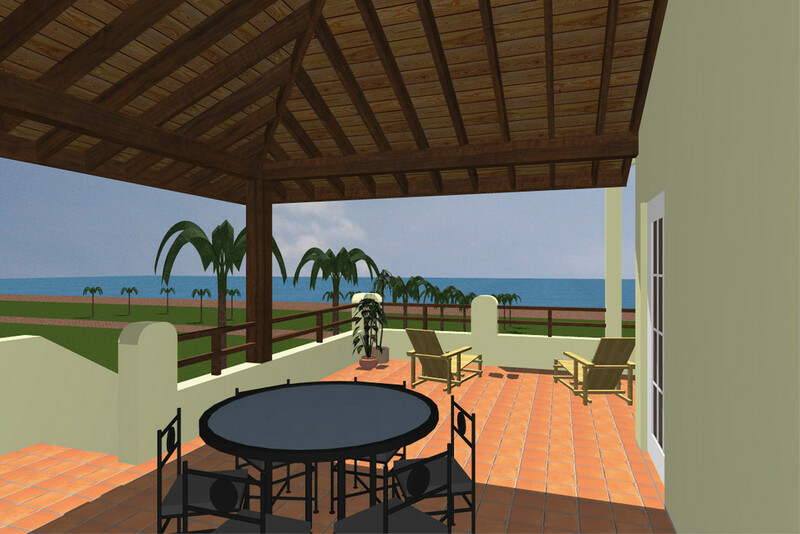 A new residence will be constructed near the beach. 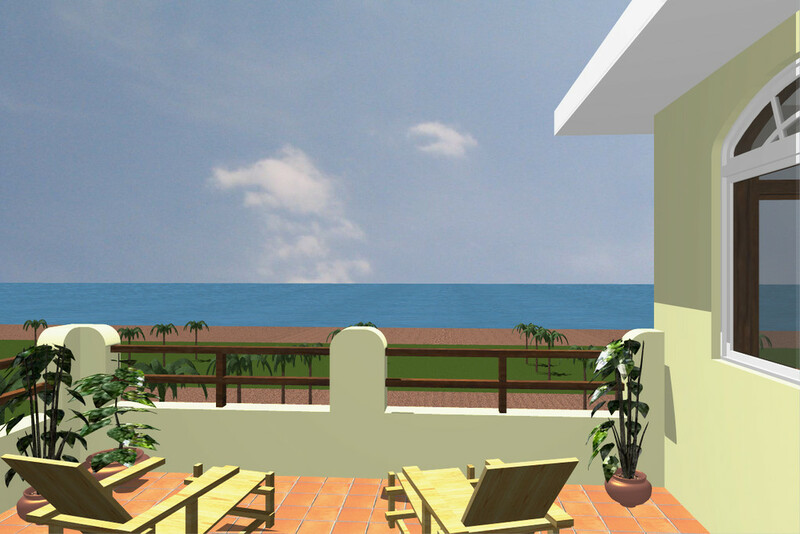 The home is designed to take advantage of the views. 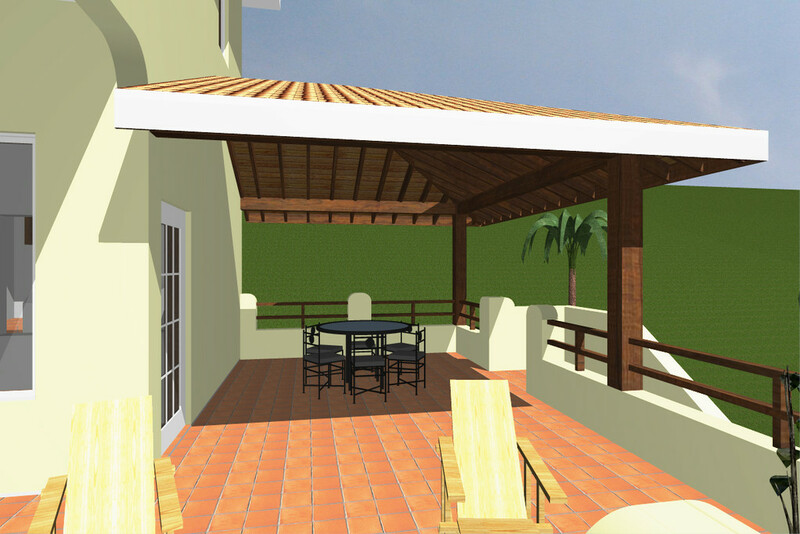 Outdoor living spaces are an important part of the design and occur on the 2nd and 3rd floors. 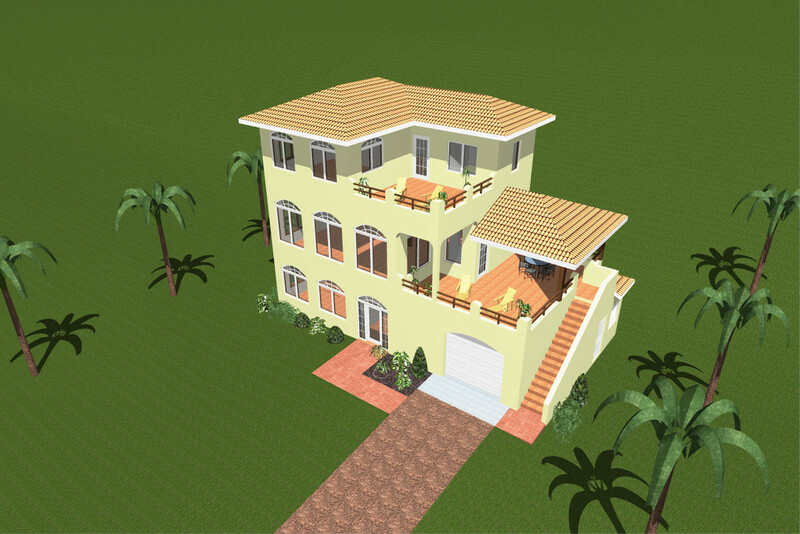 Guest quarters are on the 1st floor, the main living spaces are on the 2nd floor and the Master Suite is on the 3rd floor. 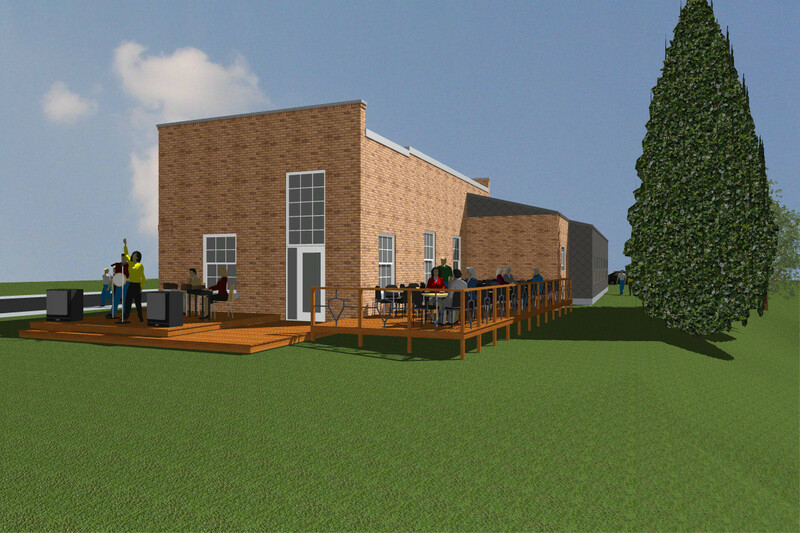 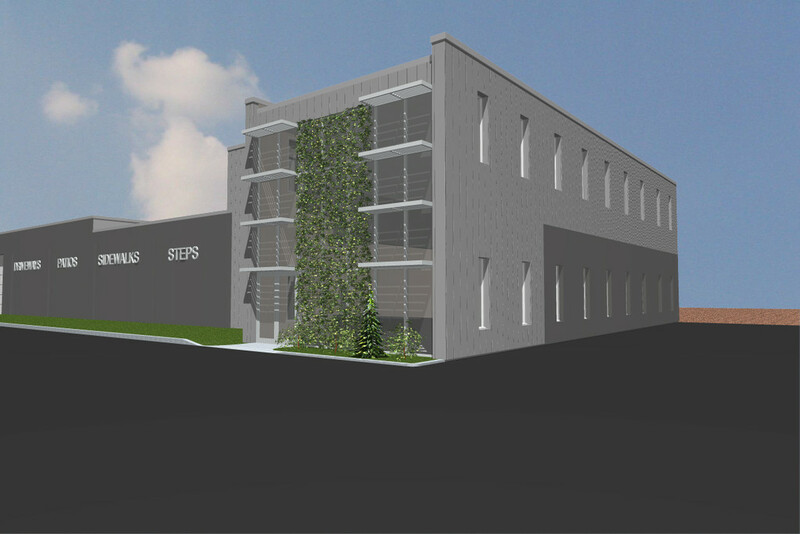 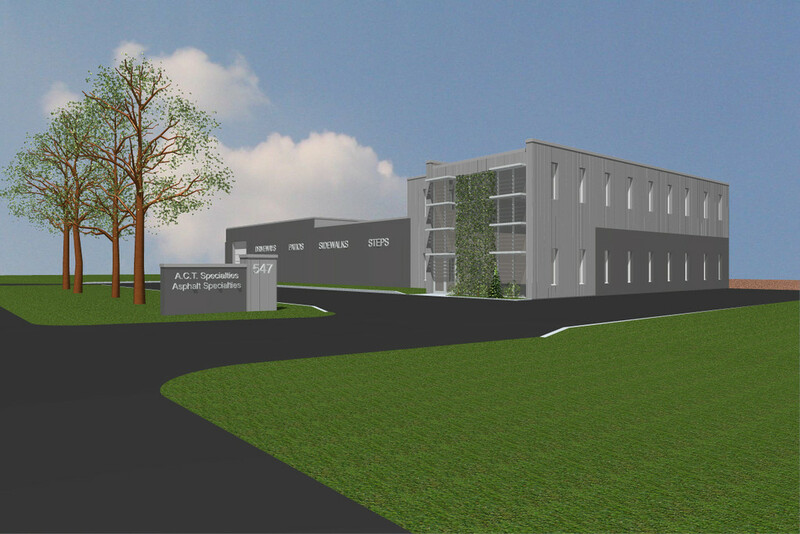 This existing building will be remodeled to create a new image for the company. 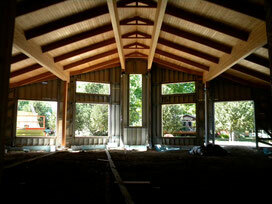 The metal cladding system and acrylic stucco will also increase the energy efficiency of the building. 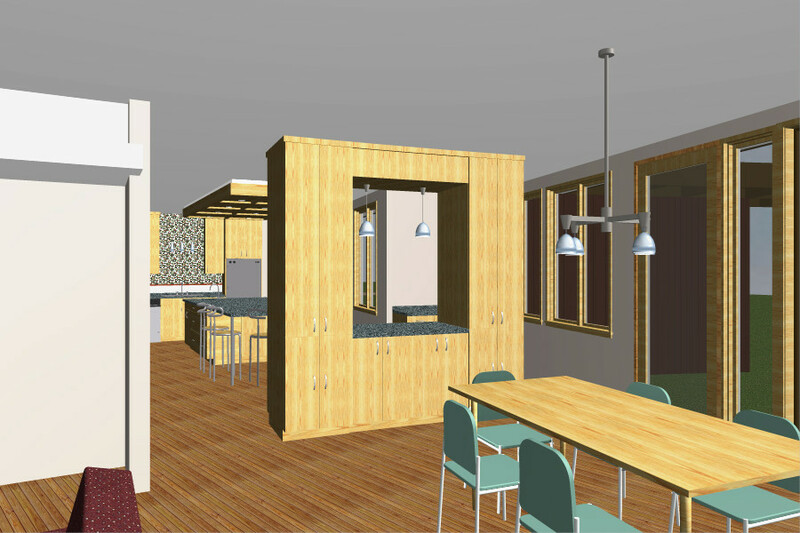 Future projects will include interior remodeling of the 1st and 2nd floor. 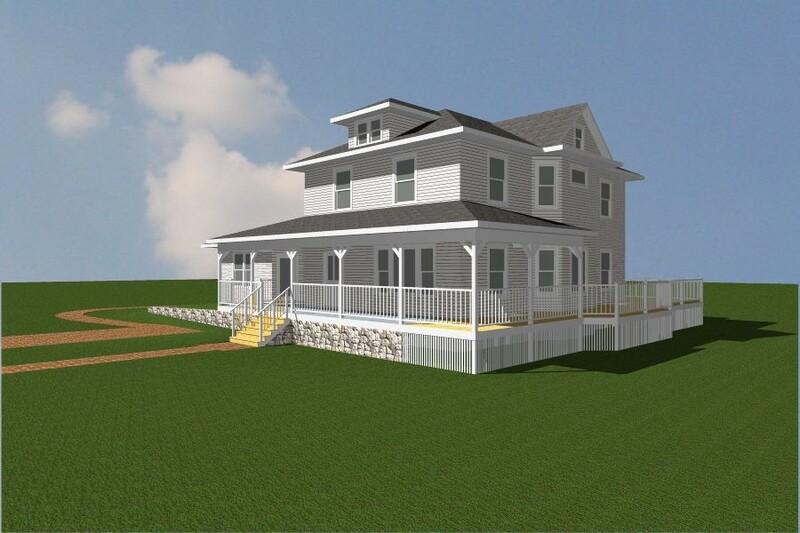 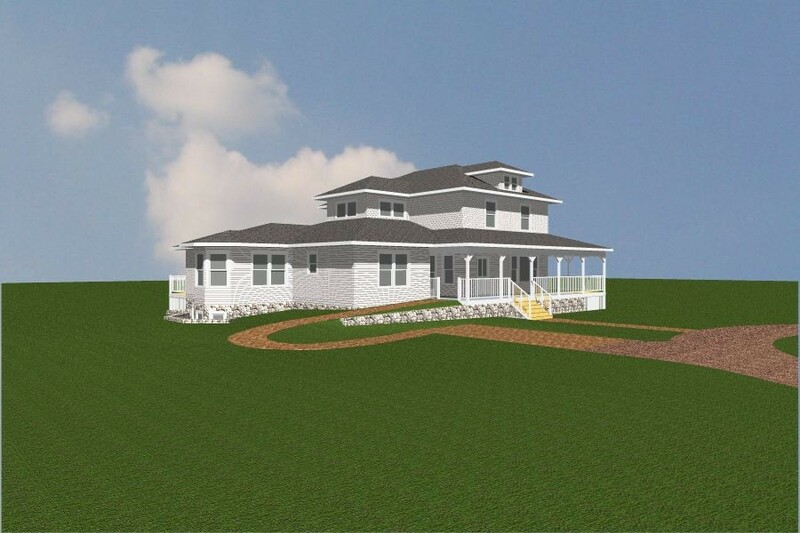 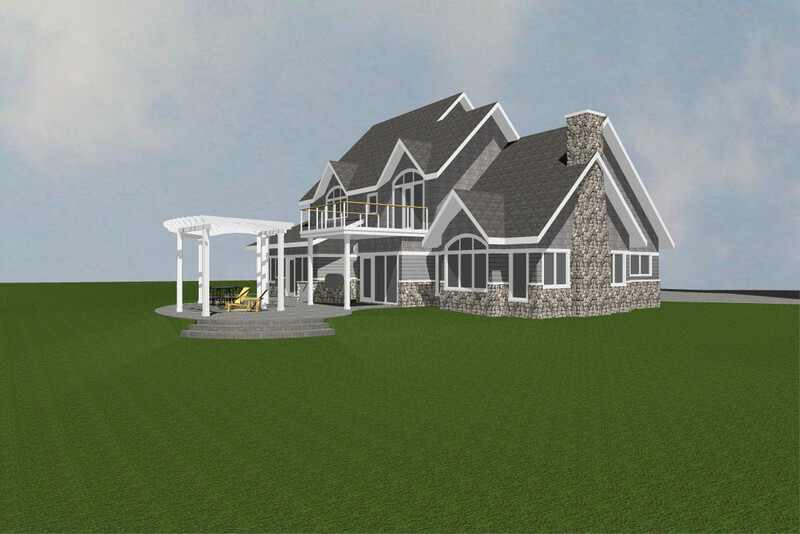 A new home on Lake Kampeska will be built with historic lines and modern comforts. 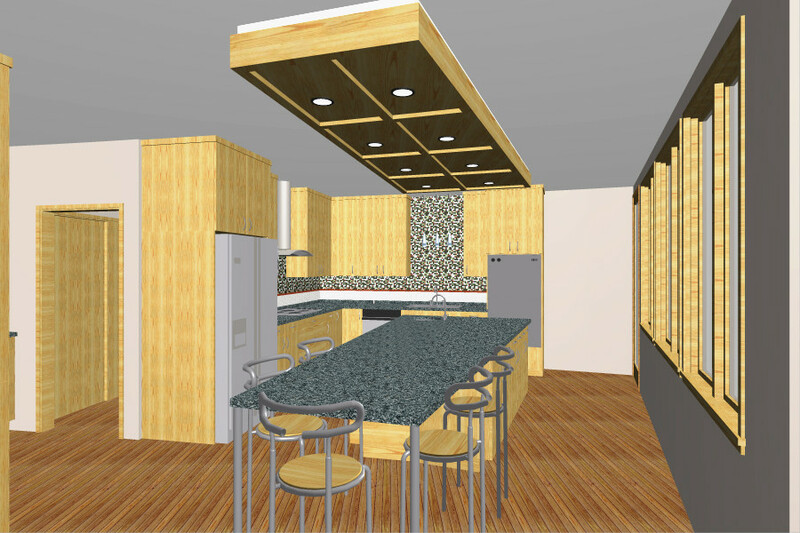 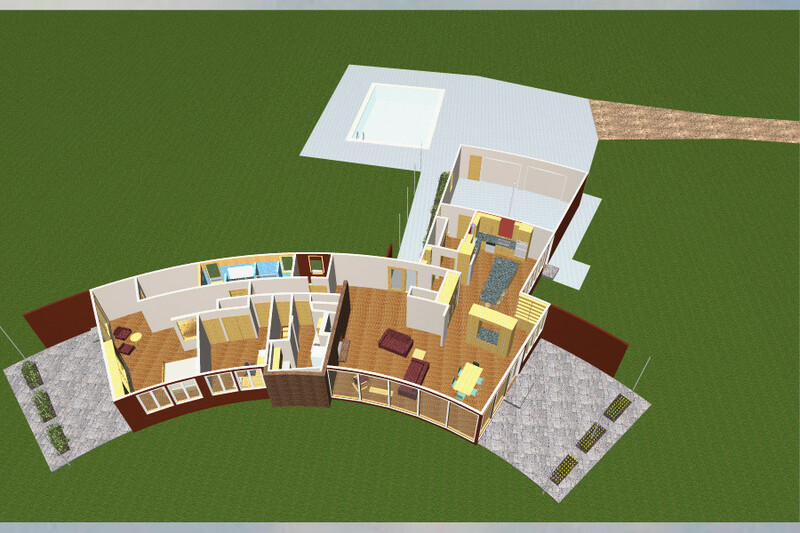 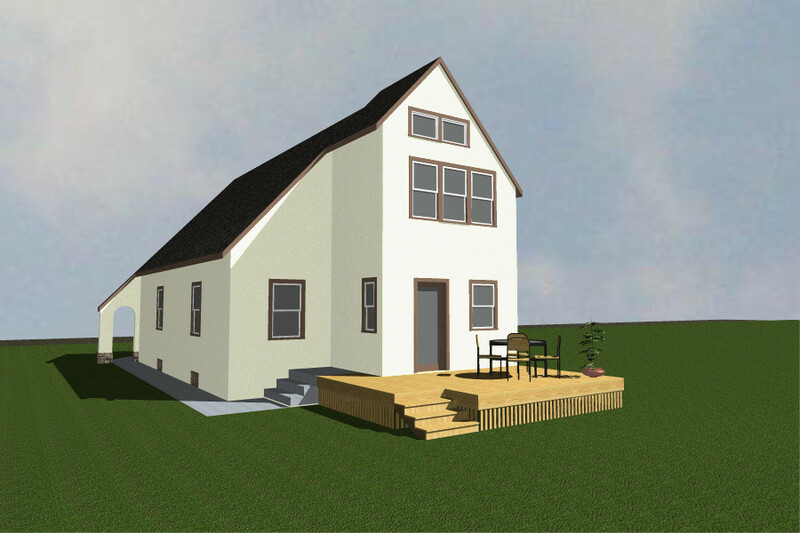 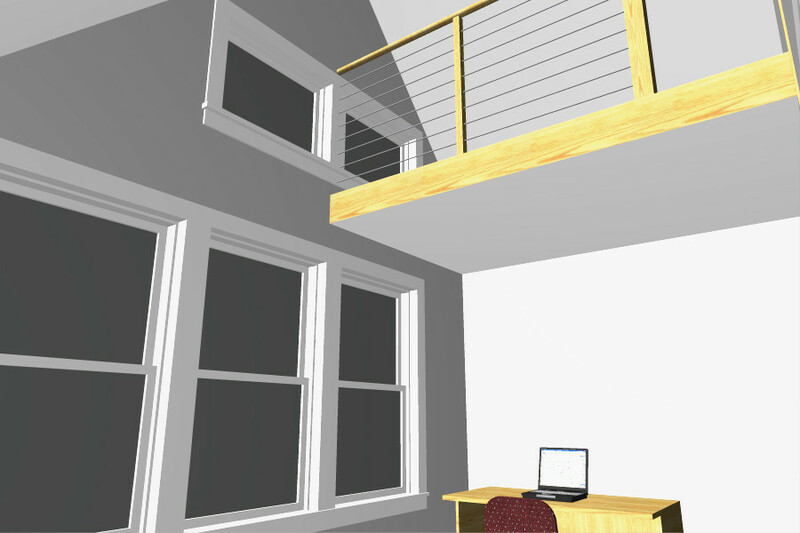 This compact design will expand the space within the Kitchen and add a second floor bedroom. 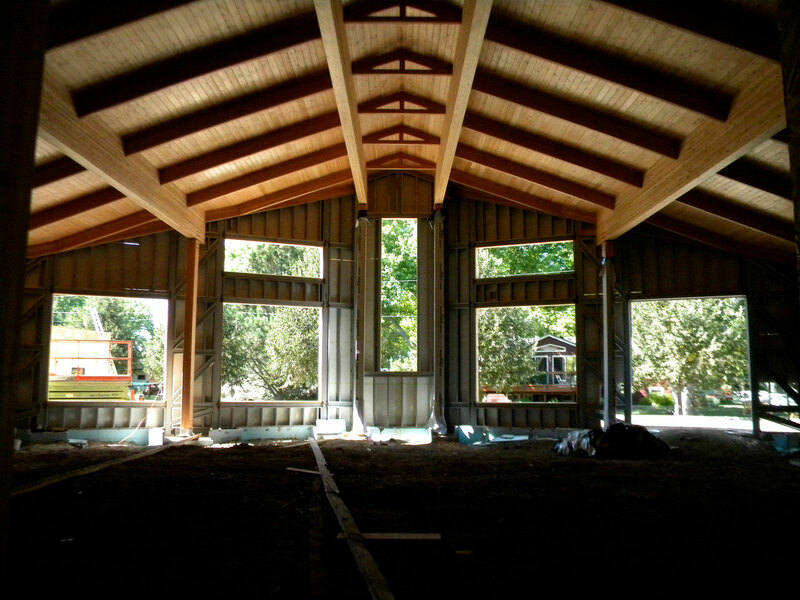 This is all done without the need to enlarge the foundation. 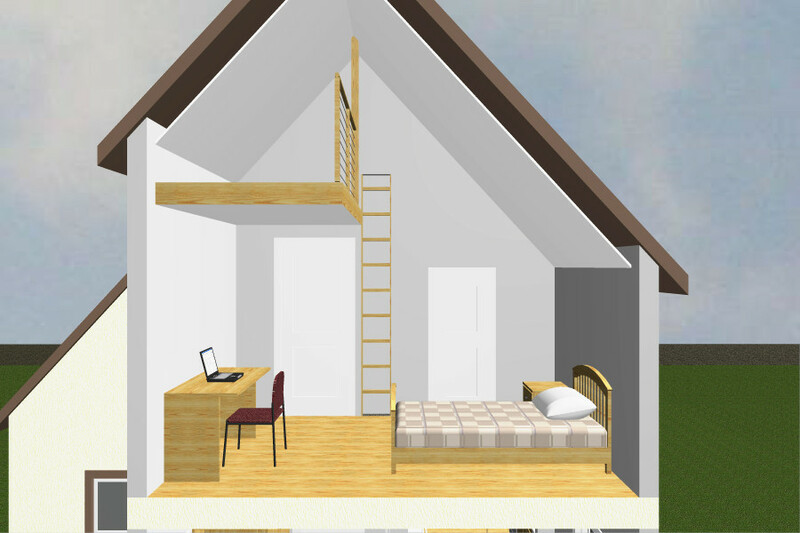 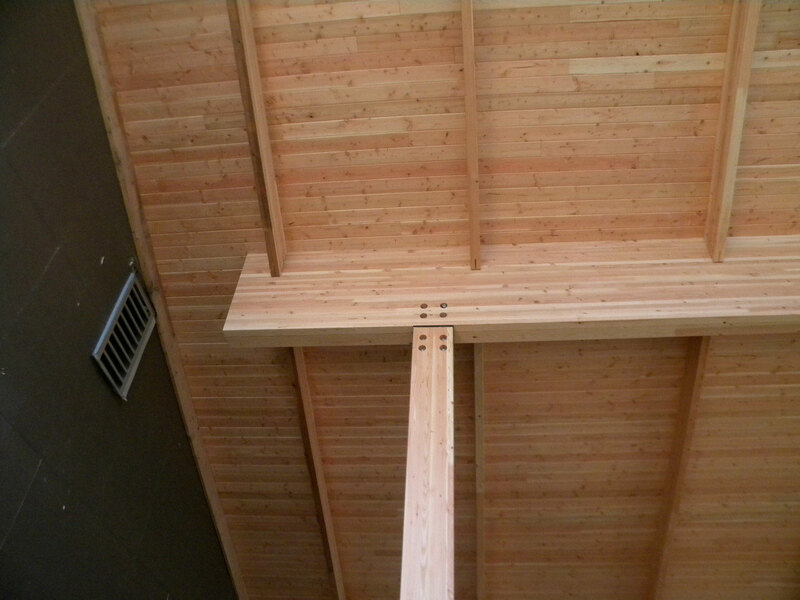 The new Bedroom will include a loft space. 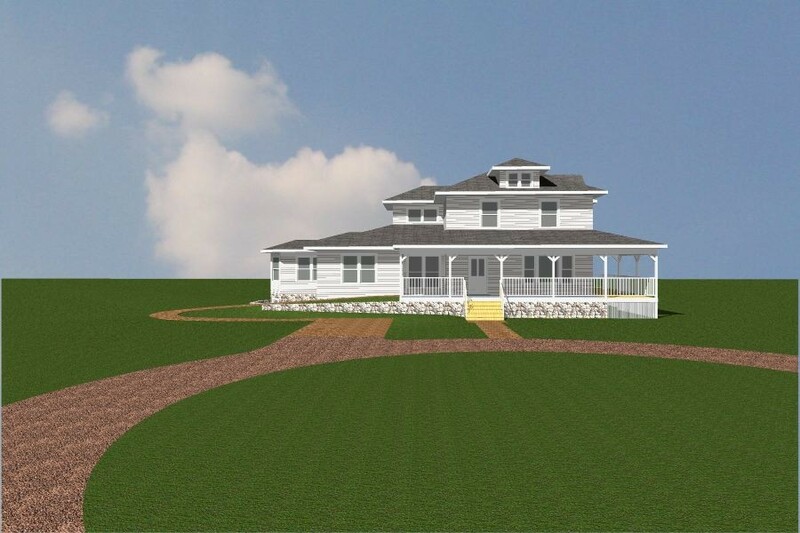 A 100 year old brick farmhouse will be brought back to life with new amenities to fit a modern family's needs as the old farm becomes the site of a new vineyard. 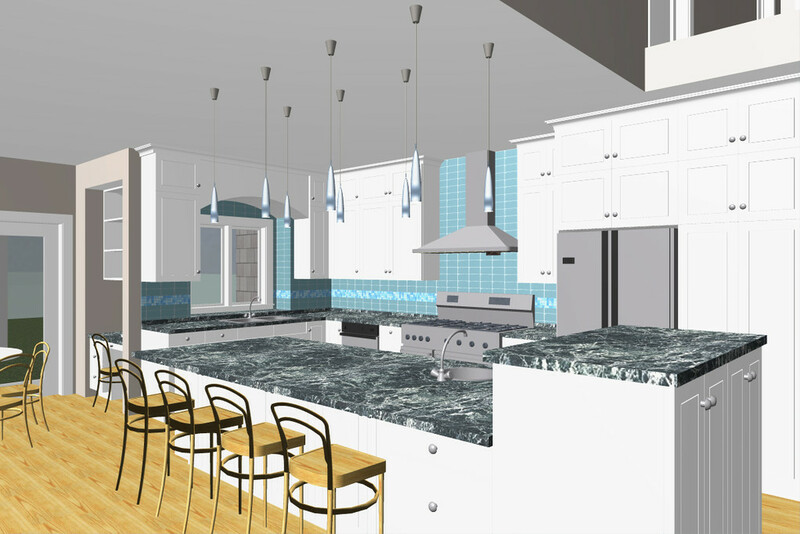 The interior of the original house will be almost completely demolished to allow for proper sizing of rooms and up to date mechanical and electrical system. 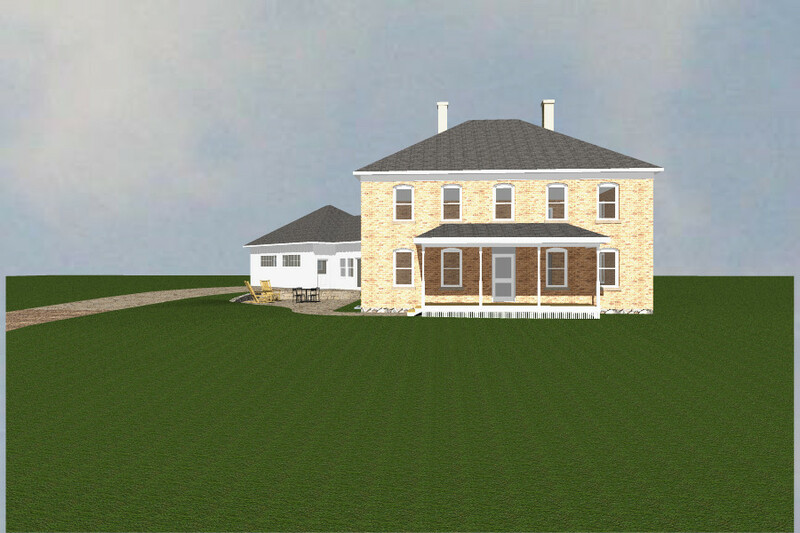 This will allow for a large Kitchen, Family Room, Dining Room and Library on the main level. 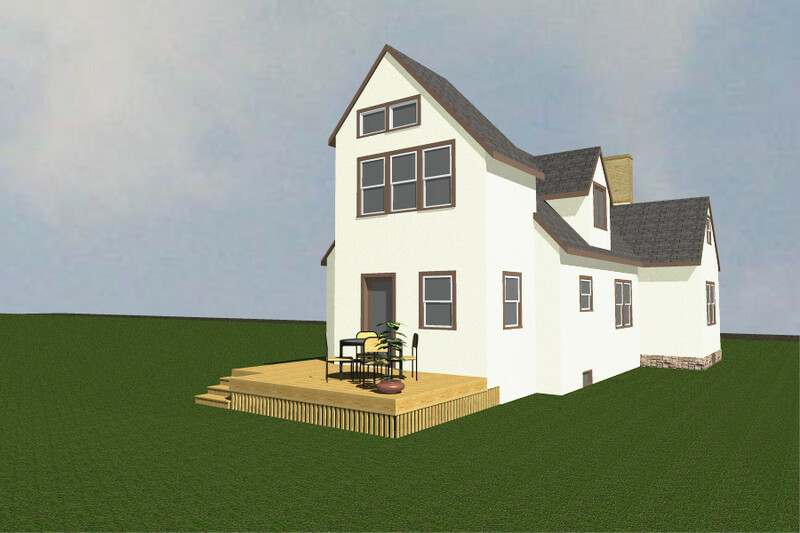 The upper level will have a Master Suite and two Bedrooms. 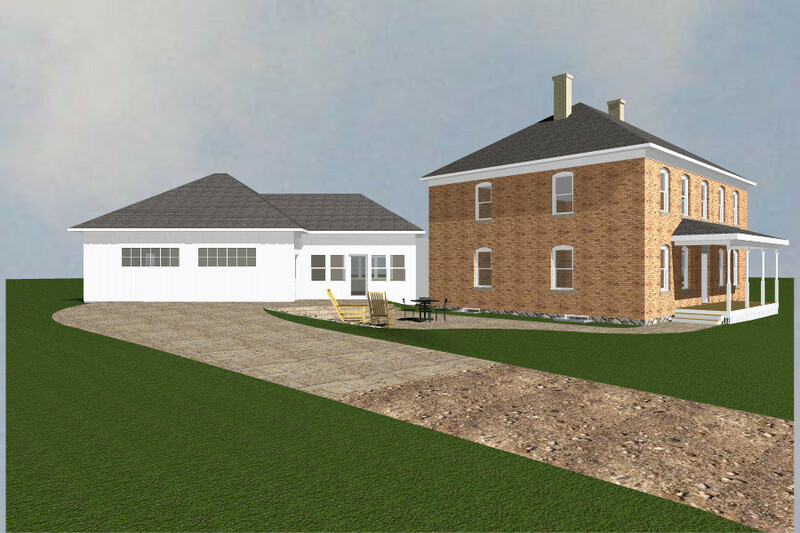 The addition provides a large two car garage, guest bedroom, laundry and a new entry for the home. 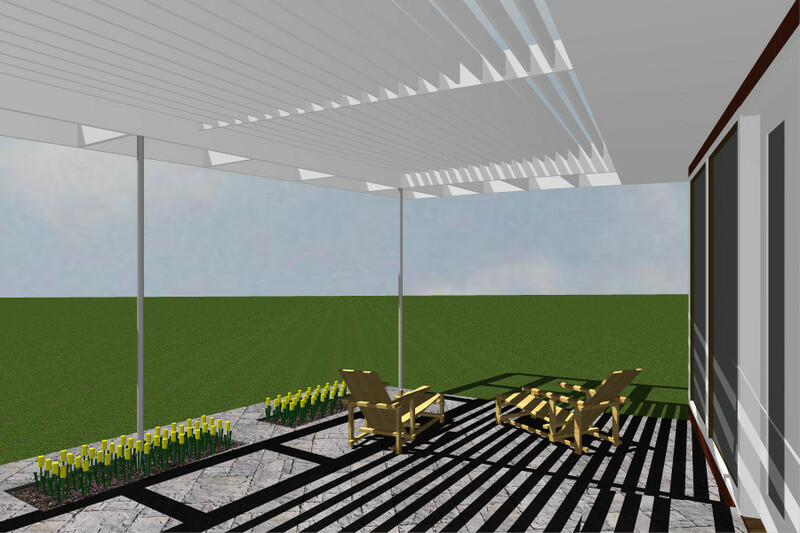 The addition also creates a Breakfast Area and a deck off of the Kitchen that will look out over the vineyards. 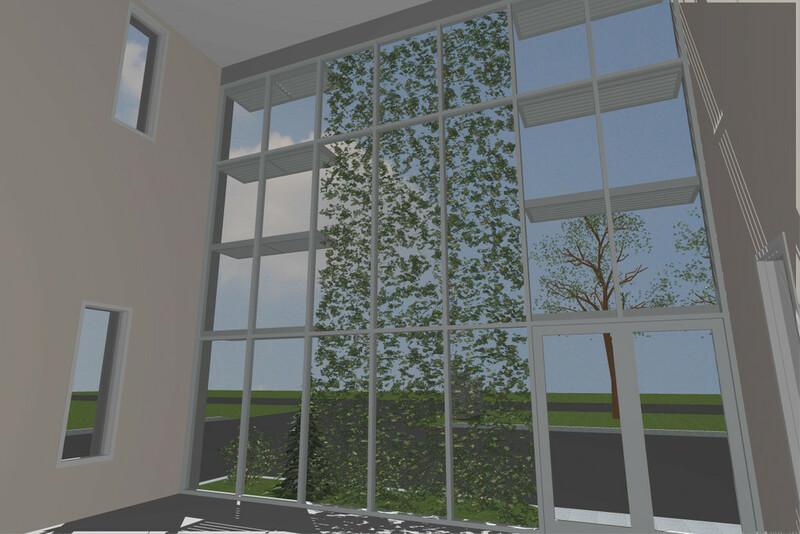 The windows will be replaced with historic sensitivity. 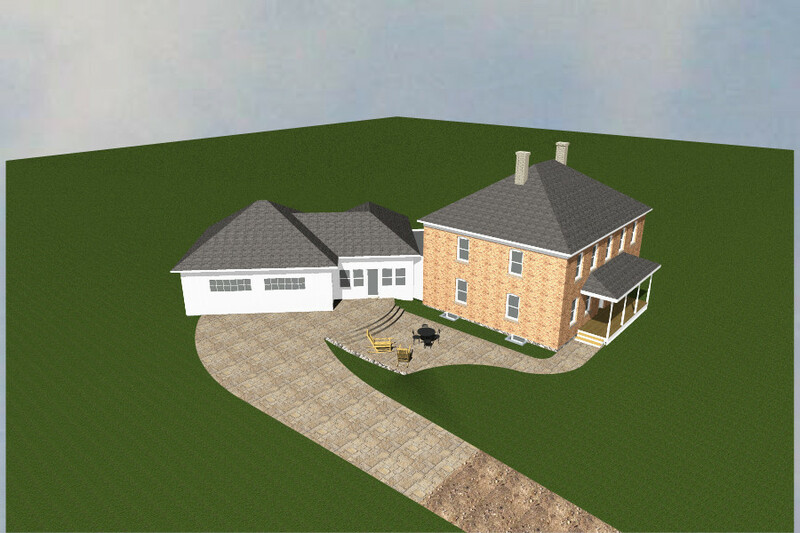 A large patio on the west side of the house connects the new entry with the rebuilt front porch. 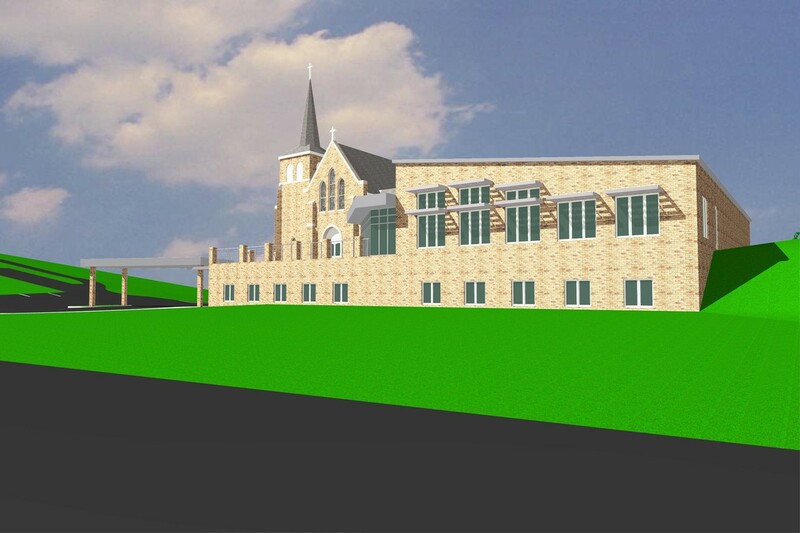 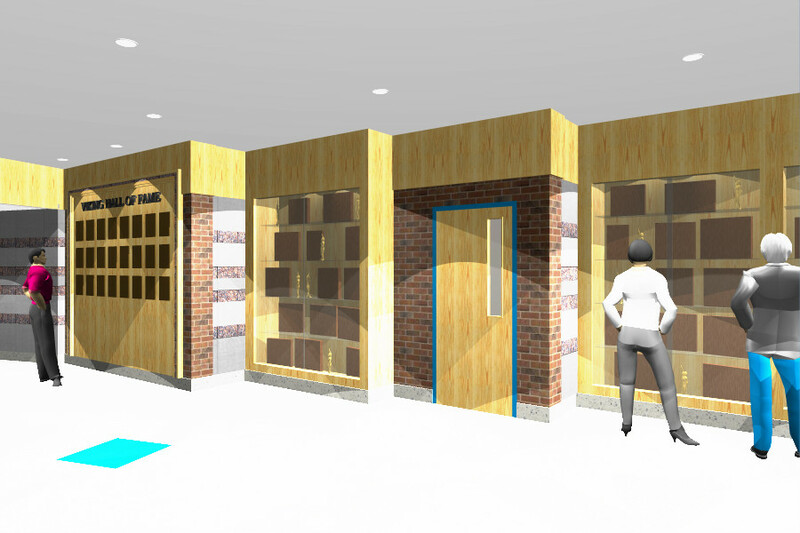 The project includes new spaces for a multi-purpose Worship Space, Kitchen, Library, Classrooms and Nursery. 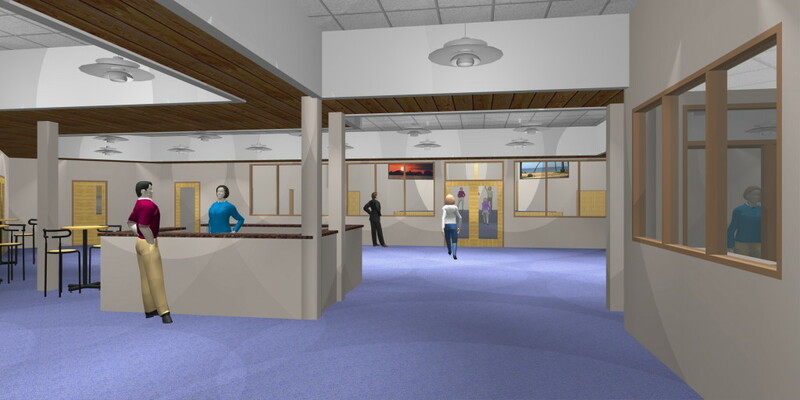 The remodeled area includes an enlarged Narthex, offices and additional classrooms. 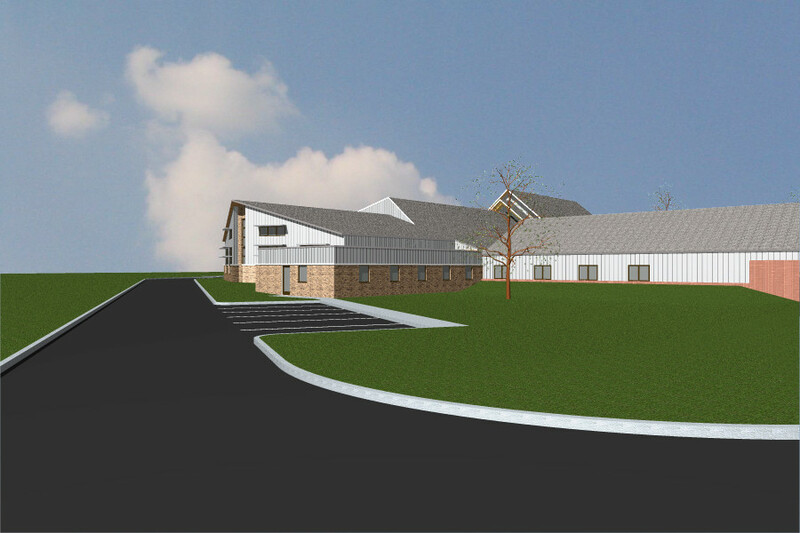 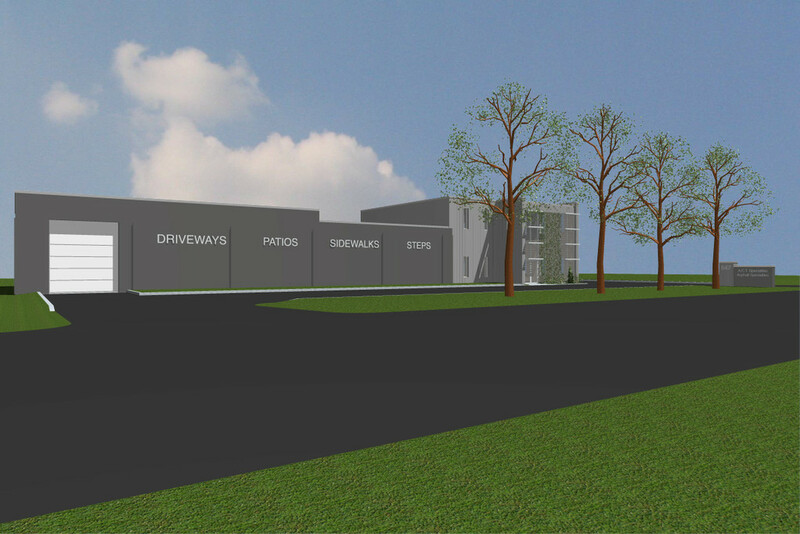 A future Fellowship Hall/Gym has been master planned. 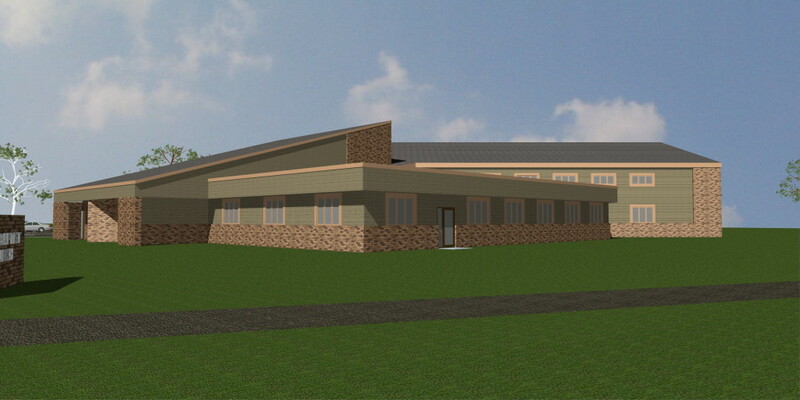 Projected cost is $2,700,000 for total project. 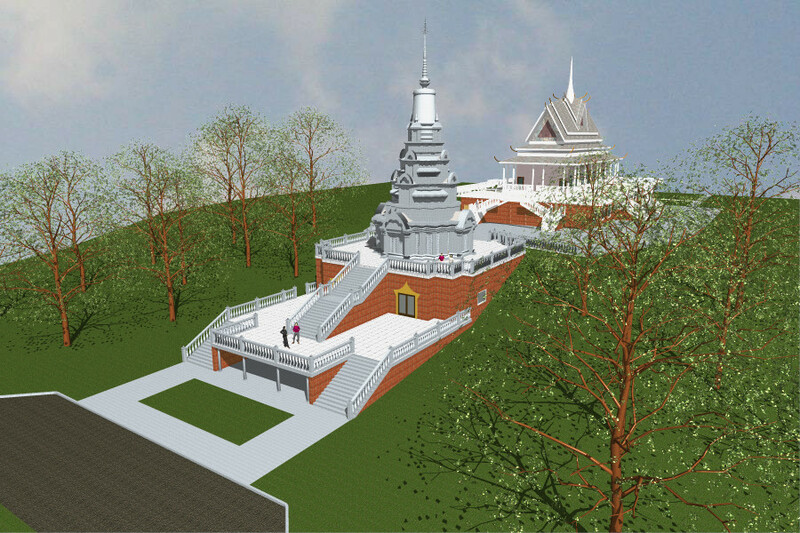 This is a second project for the Minnesota Cambodian Buddhist Society. 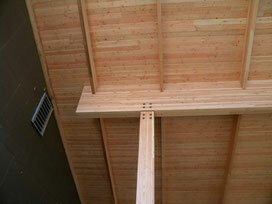 This is essentially a large shrine with space for interring the deceased. 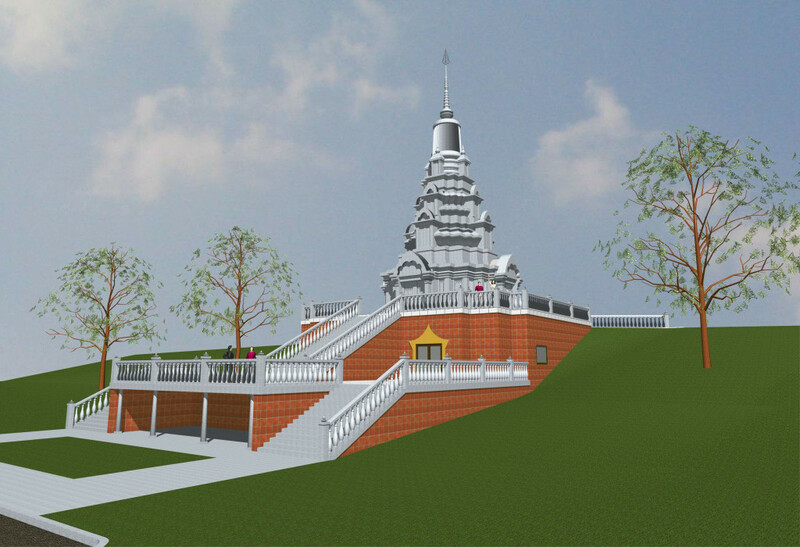 The structure is very ornate and complicated and will sit adjacent to the previously completed temple. 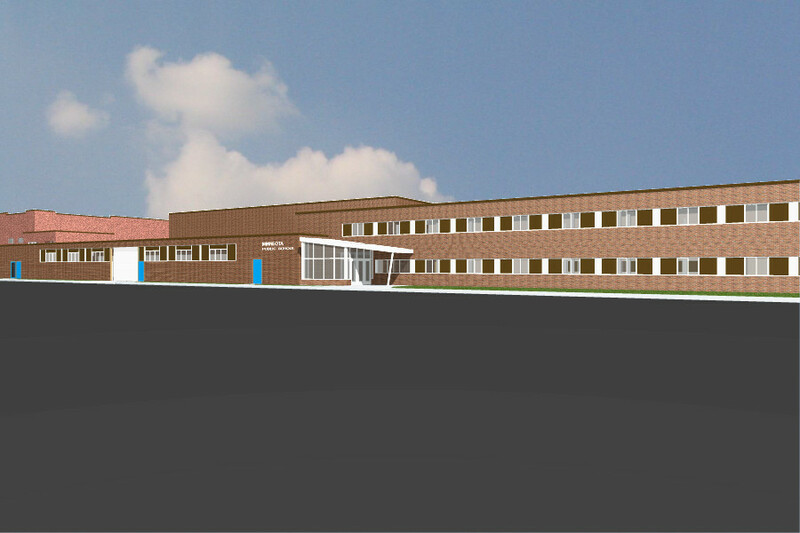 Construction is underway.